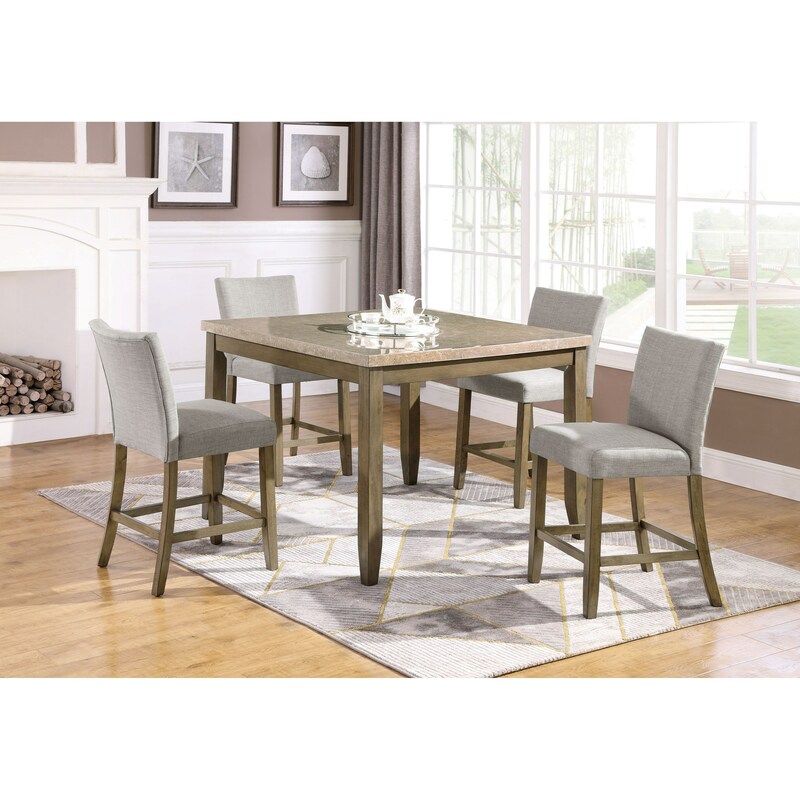 Create a gorgeous dining room with this 5 Piece Counter Height Table and Chair Set. The ensemble is centered around the counter height table that boasts a tan faux marble top, adding a stylish touch of sophistication. Surrounding this table is a set of four upholstered counter height chairs, all draped in a clean neutral gray fabric that ensures you dine in comfort and style. The Mike 5 Piece Faux Marble Counter Height Table and Upholstered Chair Set by Rooms Collection One at Rooms Furniture in the Houston, Sugar Land, Katy, Missouri City, Texas area. Product availability may vary. Contact us for the most current availability on this product. Browse other items in the Mike collection from Rooms Furniture in the Houston, Sugar Land, Katy, Missouri City, Texas area.